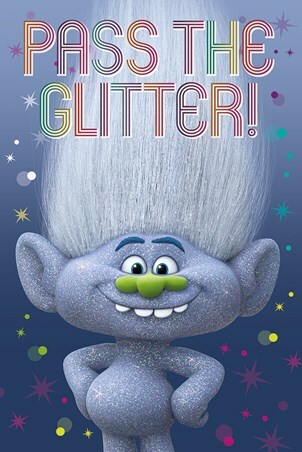 Meet Guy Diamond... more commonly know as a 'party on two feet'! 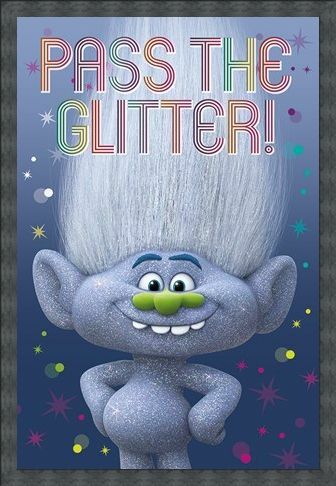 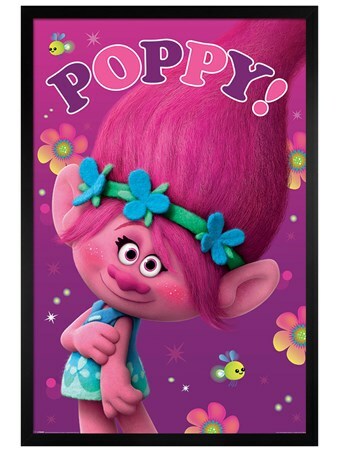 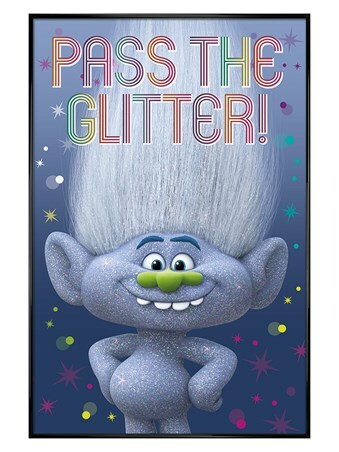 This little chap is one of the characters in Dreamworks' new animation Trolls and he LOVES glitter! Voiced by Kunal Nayyar Guy is pictured here completely naked covered in glitter, looking proud as punch with the phrase 'pass the glitter' in multi coloured text printed above him. Hang this on your wall and let the colourful, funny and wondrous world of Trolls enter your home. 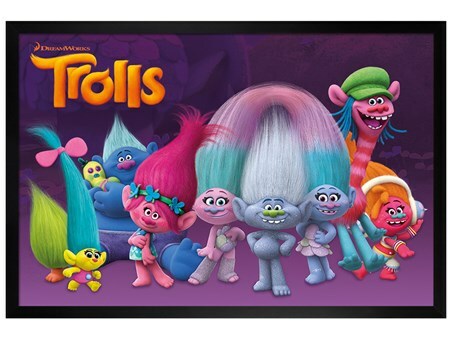 High quality, framed Guy Diamond, Trolls poster with a bespoke frame by our custom framing service.